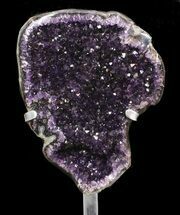 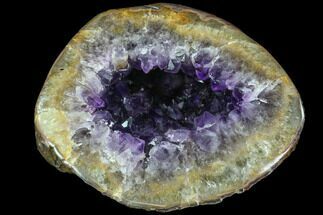 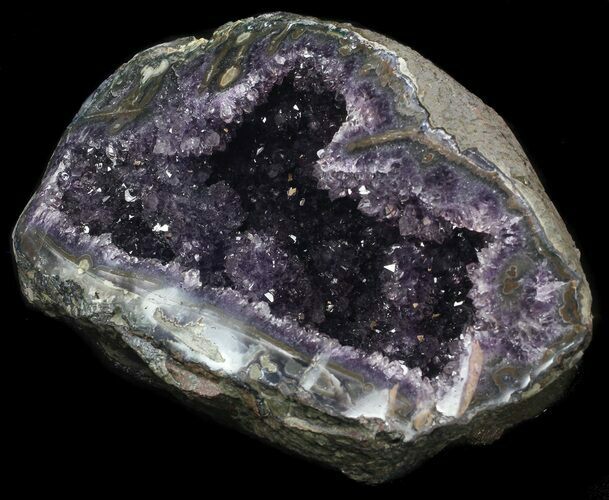 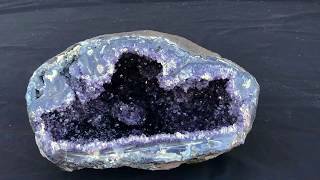 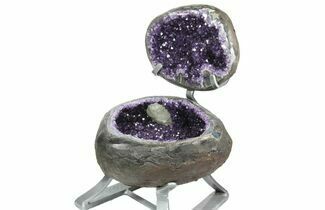 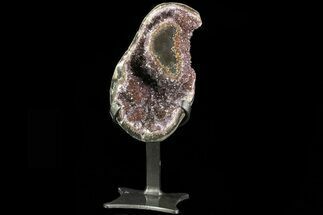 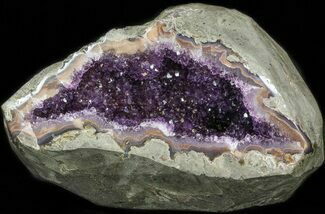 This is a purple amethyst geode from the famous mines near Artigas, Uruguay. 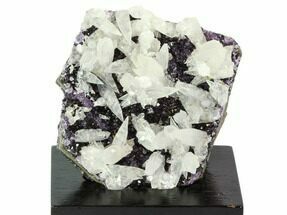 It is 15" wide, 9.2" tall, 10" deep and weighs 28 lbs. 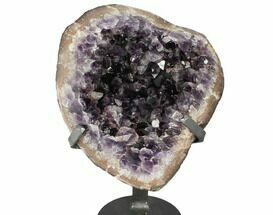 It sits up nicely for display on a flat surface. 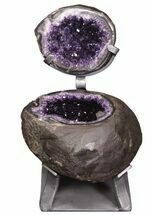 This geode has the starts of stalagmites coming from the bottom of the geode.